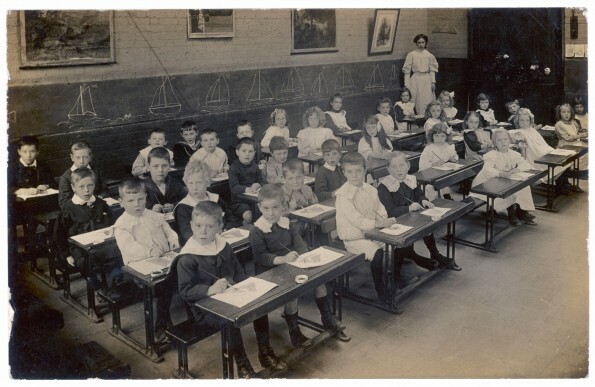 FindmyPast have announced that they have started work on a pioneering two-year project to publish over one million England and Wales school registers online for the first time. Once the records are online, you will be able to unearth wonderful details about your ancestors’ school days, including the name of the school and pupil, their date of birth, year of admission to the school and the name of a parent or guardian. Teachers are also listed and Industrial School registers are included in the collection. The records cover the period 1870-1914 and span every region of England and Wales. FindMyPast are working with the Archives and Records Association on the project, in which more than 100 archives from around England and Wales are taking part. Work has already started on records from East Anglia, London, the North West and South West.